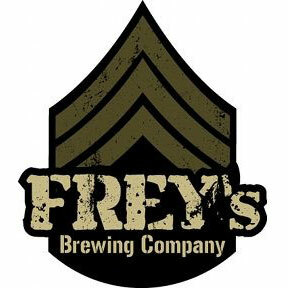 Frey’s Brewing Company has a selection of beers ready for your drinking pleasure. Everything we brew, we brew with pride right here at our farmhouse brewery! We try not to limit ourselves by only brewing within traditional beer styles set forth. We feel this is limiting to our tastes and we like trying new things. In other words, we are brewing what we love! Now you may be asking yourself, what is this farmhouse brewery thing all about? The style is very broad, but we brew on a farm, which certainly qualifies our beers as farmhouse beers. Compared to most larger breweries, our batches are quite small in size. We usually brew 2 barrels of beer at a time (1 barrel of beer = 31 gallons). We open ferment (the fermenters can breathe, as it is not a fully sealed fermentation) and don’t use temperature control on our fermentations. So what does this mean? Sometimes nothing, sometimes everything. Some batches will have all the same ingredients, but taste quite different. And that’s the beauty of a farmhouse brewery. We love it and we’re sure you will too! « Full Tilt Brewing Co.